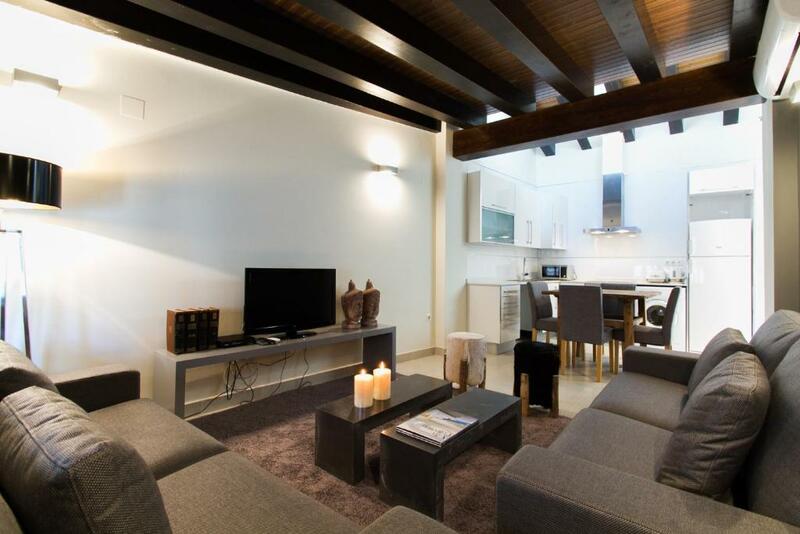 The apartment is simple but spacious,and extremely well located. Breakfast, at a café a few minutes away from the apartment, included a nice coffee, orange juice and a croissant. Good location. The staff were helpful but only when asked. We were a group of 8 people with 2 apartments reserved. They didn't charge us 2x30 euros for late check in, but once which was very cool. They even did not want to leave a deposit. The last day they let us use the office to leave our luggage and to print the boarding passes. Very helpful staff and perfect location - just 5 minutes of walking to Mercado Central. The price of the apartment is amazing. Very good value. Satisfied! Staff were very helpful, communicated easily through whatsapp so very simple to get a hold of someone and they answered any questions we had very promptly. The apartments are great value for money and would recommend for a short stays. Very good location, in the middle of everything! My room was also good located in the building, so I could sleep well during the noisy weekendnights outside. The office is in the same building, so its easy to pick up keys or to store luggage. Very clean! The beds were very comfortable as well as the size of the apartment. It was in a very central location. One of the best locations in Valencia. Great view from the terrace. Nice and cozy atmosphere. Excellent location. It is great for restaurants and bars but quite a walk from Metro. 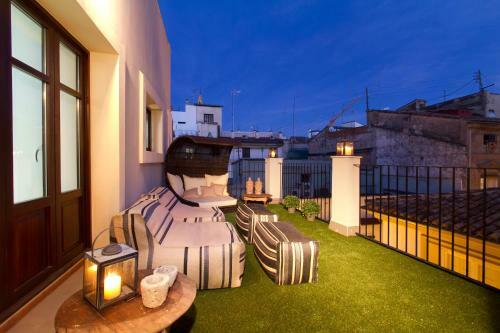 Lock in a great price for Like Apartments Negrito – rated 8 by recent guests! 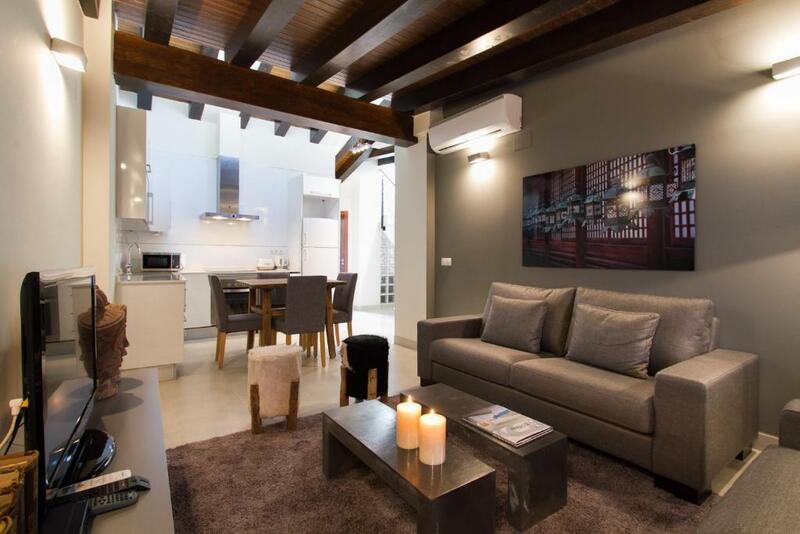 Centrally located in Valencia’s Carmen district, Apartamentos Negrito Art is within 5 minutes’ walk of Valencia Cathedral and the Central Market. 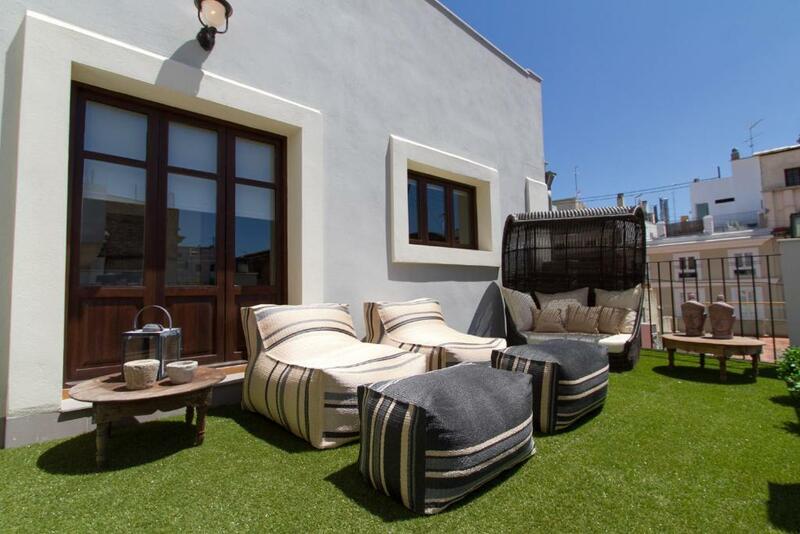 Set in a renovated historic building, the air-conditioned apartments have free WiFi. Each apartment has a balcony and is also heated. The living room comes with a sofa bed, flat-screen TV and DVD player. There is a safe and the private bathroom includes a hairdryer. You will find a fridge, microwave and coffee maker in the well-equipped kitchen. Luggage storage is offered and there is a laundry and ironing service. You can hire a bicycle from the tour desk. 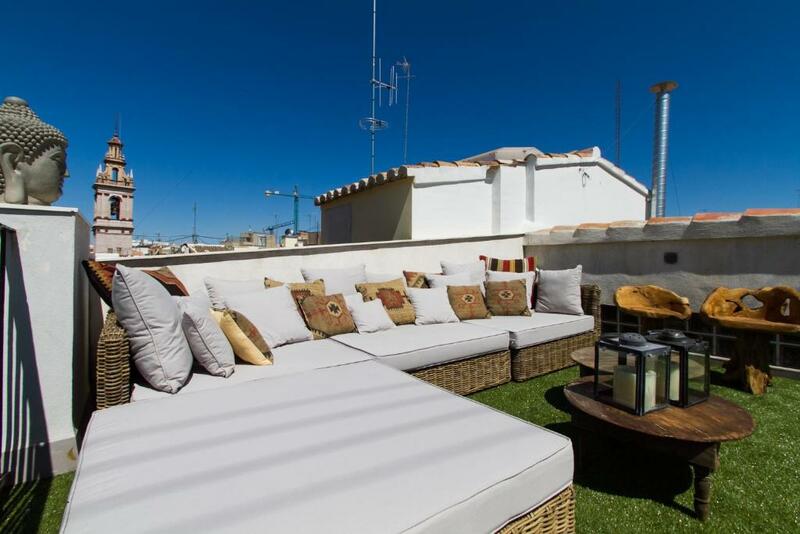 Valencia’s main square and the high-speed AVE Train Station are just 10 minutes’ walk away. 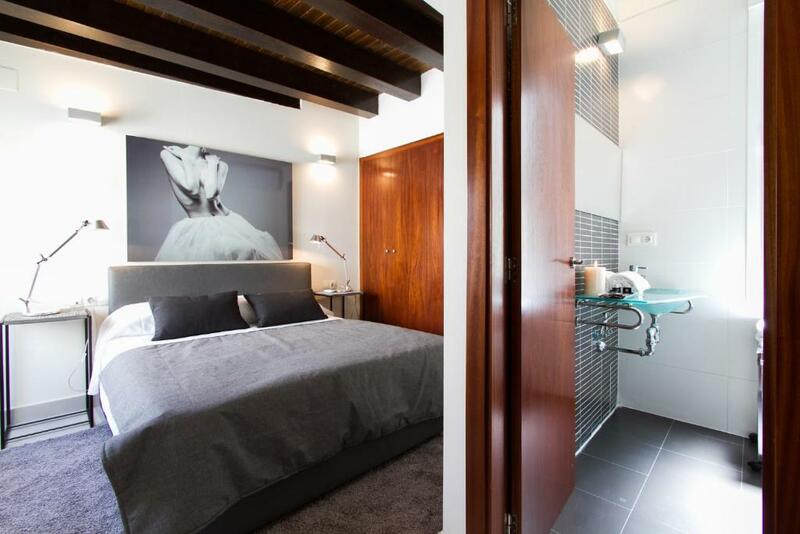 Ciutat Vella is a great choice for travelers interested in architecture, atmosphere and old-town exploration. This is our guests' favorite part of Valencia, according to independent reviews. 뀐 Located in the real heart of Valencia, this property has an excellent location score of 9.2! When would you like to stay at Like Apartments Negrito? Air-conditioned apartment with a balcony and free WiFi. The living room comes with a sofa bed, flat-screen TV and DVD player. There is a safe and the private bathroom includes a hairdryer. You will find a fridge, microwave and coffee maker in the well-equipped kitchen. 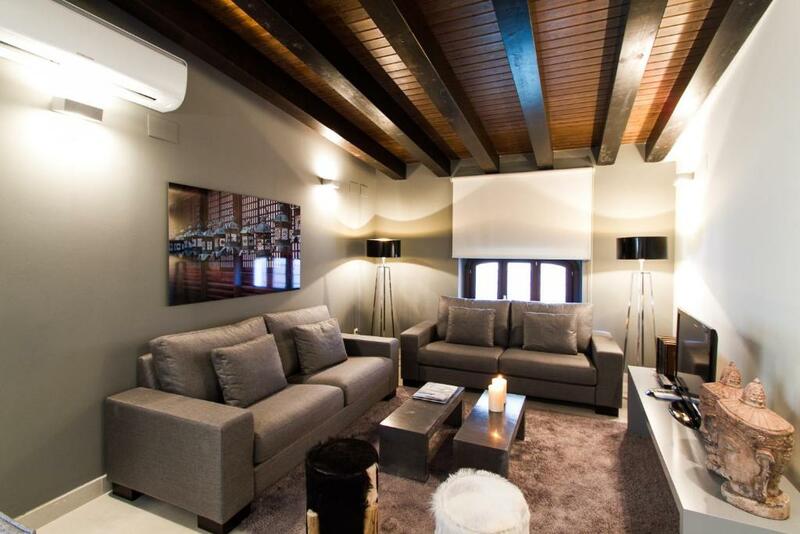 This apartment has a seating area, electric kettle and air conditioning. This apartment features air conditioning. The Apartments Negrito are located in a completely renovated building, in the Old Town of the city of Valencia. We are a small apartments agency, and our goal is to help you to spend a pleasant and enjoyable stay in Valencia. The district of El Carmen, in the historic center of the city, offers tours throughout the former Valencia. The Cathedral, the Lonja, Central Market, and the charming streets and buildings that populate the neighborhood. Area Info – This neighborhood is a great choice for travelers interested in architecture, atmosphere and old-town exploration – Check location Excellent location – show map Guests loved walking around the neighborhood! House Rules Like Apartments Negrito takes special requests – add in the next step! A EUR200 damage deposit is required on arrival (around USD224.87). This deposit will be fully refunded at check-out, as long as there isn't any damage to the property. Like Apartments Negrito accepts these cards and reserves the right to temporarily hold an amount prior to arrival. Please note that check in after 20:00 is subject to a EUR 30 surcharge per apartment. Please note that parties are not allowed in these apartments. Please inform Like Apartments Negrito of your expected arrival time in advance. You can use the Special Requests box when booking, or contact the property directly using the contact details in your confirmation. A damage deposit of EUR 200 is required on arrival. That's about 224.87USD. This will be collected as a cash payment. You should be reimbursed on check-out. Your deposit will be refunded in full, in cash, subject to an inspection of the property. One of the most picturesque neighborhoods in Valencia! The Fotos of the appartement do not resemble the ones on the website. No kettle. The staff made no effort to give information or a map of the area. The location is the best base for all your adventures in the area. Old city at walking distance, buses/tram station @5min walking. The property is open to satisfy your requests. At the reception young people, mainly italians as the most of tourists in the neighborhood. It's not perfectly furnished but you get all you need. The second bath is pretty small, but usable. Very little not to like. May be a little basic for a longer stay but fine for shorter visits. one shower is almost unusable due to how small it is but this is only a minor problem as there were two showers in the apartment. The air conditioners don't work properly, they need some cleaning. This is for the heat part, haven't tried the cold function. The kitchen equipment is really spartan. It is ok for making a salad or serving some take-away snack but I wouldn't count to cook a dinner there. The WORST thing is the total absence of the acoustic isolation. Since there is a small square with several bars just a few meters away open till 4 am bring some earplugs or be ready for some sleepless night. Forget sleep it’s a really noisy neighbourhood. Close to a bar that doesn’t stop jumping until after 3 am on a week might ! So noisy at night you won't sleep here. Damp down the walls, poor WiFi, uncomfortable bed. Due to water damage the walls of the living area were wet and moldy. The smell in the whole apartment was horrible due to the mold and humidity so we needed to ventilate the house by opening all the windows while it was very cold outside. We informed the staff about this but besides the fact that they said someone would come by to check the damage we didn't hear anything back from them throughout our stay. Several lights didn't work and were also not fixed after we told the staff about this. One side of the apartment was close to a square with bars and cafes so the bedroom on that side had a lot of noise until early morning. We were when it was raining so windows on our apartment licks. Main shower was a bit cramped.